Available by appointment only. Please feel free to call with questions, and leave a voicemail if there is no answer. Weekly Talking Circles have been a vital part of the Coalition’s Substance Treatment Program for 12 years. Circles are considered a sacred space where Natives can share information confidentially to promote healing in their lives. Native peoples from a wide spectrum of Nations including Dakota, Lakota, Nakota, Diné, Apache, Northern Cheyenne, Cherokee, Kickapoo, Creek, Seminole, Ojibwe, Flathead, and Kiowa attend circles for support, sobriety, and connection to culture and resources. The Circle’s unifying theme is a safe, sober, and culturally welcoming healing space for all Natives, including those who may have little or no concept of their history or traditions. 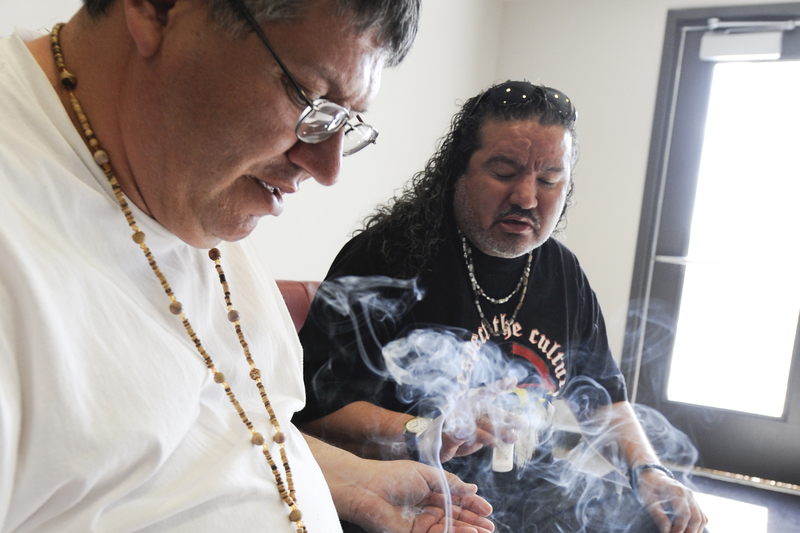 As participants share in the Circle, the focus is often on health matters, including stories of recovery from alcohol or other drug use, as well as healing from physical and mental health challenges. The inclusion of food is an integral part of the Talking Circle because it symbolizes an offering to the Creator, as well as a healing gift to all who are present. No referral is needed. Native people, who are sober and willing to follow the traditional Talking Circle rules, are welcome to join the Coalition’s Talking Circles. Rules are posted at each meeting. Sharing is welcomed but not mandatory.